What is a Stock Option and Why Isn't Everyone Using Them? Stock options give the holder the right but not the obligation, to buy or sell shares of publicly listed stocks for an agreed price, up to an agreed expiration date. As opposed to the shares themselves there is one certainty about all options - they eventually expire. This 'expiration factor' should always be borne in mind, as it affects the trading price of an option. If the current market trading price of the shares is in a favourable relationship to the option strike price so that a profit can be realized on the underlying shares, they are referred to as "in-the-money" and have "intrinsic value". If not, the options expire worthless. So what is a stock option example we can use? Say you held one call option contract covering 100 shares with a strike price of $40 and expiration date a month away. When expiration comes, the stock is trading on the exchanges at $45. You now have the right to exercise your call options and purchase the stock for only $40 and immediately realize a $5 profit per share, i.e. $500 total profit. Option types fall into two classes - calls and puts. Call options allow you to "call" on the market to deliver the underlying financial instrument (in this case, stocks) to you at the call option strike price. Put options on the other hand, give you the right but not the obligation to "put" - i.e. sell, shares to the market for the put option strike price. If you buy call options, you generally realize a profit if the underlying stock price rises before expiration. If you buy put options, you generally realize a profit is the underlying stock price falls before expiration. We say "generally" because there are other factors which may influence the outcome, such as implied volatility and time decay, which are covered in other sections of this site. Did you know that you can also sell stock option contracts to the market without previously having owned them? You actually create the contract, which is sometimes referred to as "writing" it - and then receive funds credited to your account for them. This process is called "going short", as opposed to buying options which is called "going long". What is a stock option without flexibility? This combination of strike prices, expiration dates, going long or short, together with implied volatility and the accelerating rate of option time decay as it nears expiration date - is what has given birth to a whole industry accompanied by a plethora of option trading strategies. 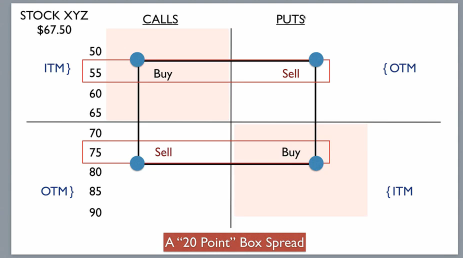 A combination of long and short options positions is referred to as an option spread. Stock options are a leveraged financial instrument - you risk a small sum in comparison to buying the stocks themselves, to potentially realize the same profit as if you actually owned the shares. But option pricing is not a straightforward matter. The relationship of the option price to the underlying changes as it moves deeper into or further away from, the strike price "money". Additionally, all options inevitably expire. Armed with a knowledge of what option spreads are and how time decay can either work for or against you - you can set up low risk positions that take advantage of this and stack the odds in your favour. They say that 85 percent of all options expire worthless. You want to be among the other 15 percent who benefit from this. 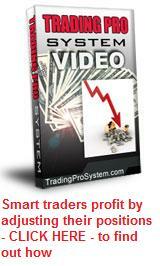 What is a stock option trading system that consistently makes a solid monthly return? One which uses low risk, low maintenance option spreads enhanced by the ability to adjust your positions when necessary, so that you make money every day from option time decay. Employee stock options are often offered to executive corporate personnel as an incentive to not only remain as employees for a given period of time, but to contribute toward the growth of the company. How the deal is structured in each case varies. For example, an employee might be offered 500 'at-the-money' call options in XYZ Company on the proviso that they can only be exercised (converted into company shares) after one year (this is called the 'vesting period'). If after that time, the market trading price of XYZ shares has increased by $5 then the employee has the right but not the obligation to purchase them at the option strike price which is $5 cheaper. A profit of 5 x 500 = $2,500 could be immediately realized, or the employee may choose to hold the stock for the longer term - or simply sell the options for profit. What is a stock option without benefits for both sides right? Rather than simply issue the employee with 500 shares of stock, companies provide them with an incentive at much cheaper price, to own these shares or sell the options at some time in the future, following a qualifying period. There are also some tax benefits to the employee, in that they are not taxed on unrealized profits if the options are Incentive Stock Options (ISOs) but the issuing company receives no tax deduction. If the issuing company does receive a tax deduction, these are called Nonqualified Stock Options (NSOs) and the employee is taxed on unrealized profits. Naturally, employees will prefer Incentive Stock Options. Since the early 1970's stock option trading has become one of the most important and popular form of derivative trading beside futures. Today, with the use of internet technology and a proven trading system, it is not difficult to enjoy a consistent monthly income and financial freedom.